We HK CNL Optic Industrial Limited are a eyewear factory with the vision of improving the quality, design and function; providing the high quality optical frames, sunglasses, and eyewear accessories. We are offering "one stop service and OEM service"! Our factory named Shenzhen Jinpei Glasses Limited is located in Shenzhen City, China. sunglasses lens:Cr39 lens, Polarized lens, Nylon lens, we source Zeiss lens as well. Hinge/spring: normally, we use china hinge, and also use the high quality Redtenbacher spring hinges, OBE spring hinges. Accessories : metal case, plastic cases, paper boxes, hard paper boxes, cleaning cloth, pouch, display stand, high-end luxury packing material. Design Service: we offer tailor-made services from the very beginning, raw designs, drawing, 1st samples, confirmed samples, order. Here with rough information of factory for your reference. • 11 years experiences in making high quality sunglasses and optical frames. • Fully equipped with 5 sets of 4-axis CNC machine,200 tons machine for injection eyewear etc. • Capacity:50000pcs acetate frames,30000pcs metal frames,100000pcs injection frames per month. • Production lead time: 65 days once acetate/components details are all confirmed. 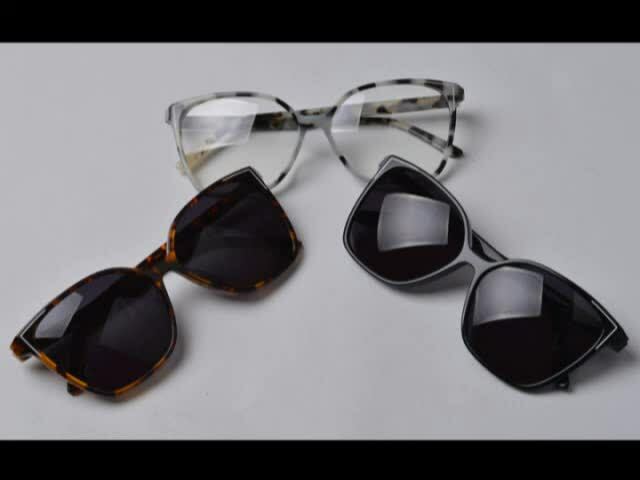 • MOQ:400pcs per style for acetate/metal frames,3000pcs per style with 5 colors for injection frames. • Frames can meet CE,FDA,UV400,pass drop ball test. • Have designer teams, can finished technical draws in 1-2 days.